The PDP Maple Snare | Gear Acquisition Syndrome!! My PDP Maple Snare – It’s Side-stick, Rimshot Heaven, Yo!! Can you believe how much it’s being played these days??! I mean… even Weezer doing a cover of it THIRTY-SIX YEARS after its initial release??! Wow! 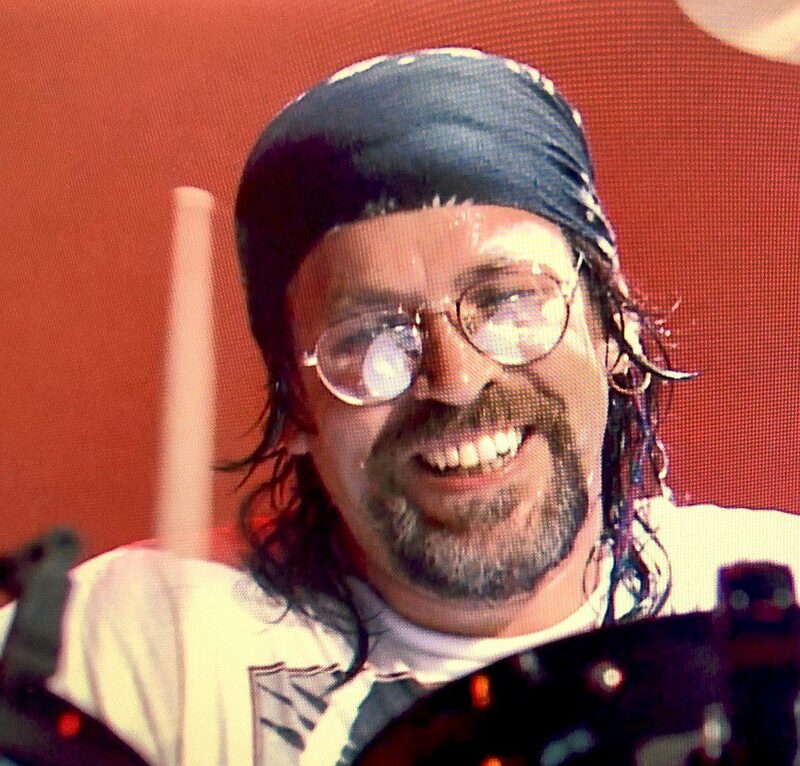 You’ve got to give it up for any song that features drums right at the top of the song. And what a groove! Jeff Porcaro and Lenny Castro just killed it with that entrancing Serengeti tribal lope. But what’s that little click-y sound being made in the opening loop?? 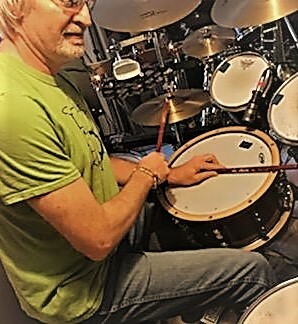 Why, it’s Jeff doing a “side-stick” pattern on his snare. Side stickin’ on my PDP snare! This latest investment into my own personal world of beat-making. I’m diggin’ it so much, I just have to share… let’s rock! As is often the case, the snare caught my EYE before my ear. I was visiting the drum shop at Guitar Center, buying a couple crash cymbals for my “Crash Cymbal Shootout!” (check that out HERE). While talking to Veronica, my uber-knowledgable Sales Rep there, I saw this very classy-looking snare up on the shelf with a price that surprised me, it was so low. Although it’s made mostly of Maple, it’s covered on the outside with a beautiful Walnut veneer with a Satin finish that is startlingly appealing. But it’s all good!! 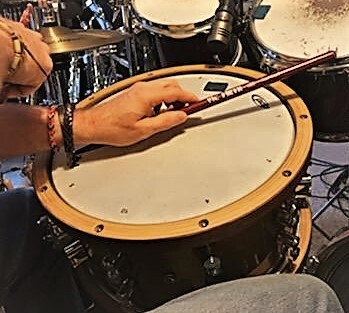 This snare has given me a sound quite different from all my other snares, and when you’ve assembled a diverse snare collection, that’s saying something! Throw-off: Tap-style from DW line! A Tone That Brings the Tinglies! 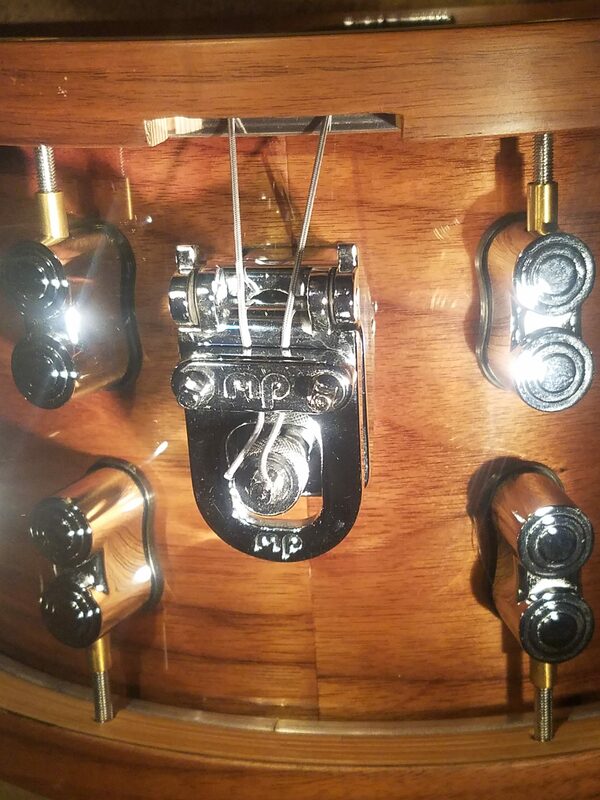 Dave from Guitar Center does a great job showcasing the many sound facets of this snare. The mic really picks up well the difference in timbre and cut between soft and loud hitting. Make sure you hone in on the difference in timbre he gets from having the head cranked high at the top of the video, compared to at 1:15 where he changes it and drops it down substantially for a more laid-back timbre. It’s BAM-alicious! Favorite things about this snare?? For starters, it is, as I mentioned at the top, THE BOMB for creating a rich, warm side-stick sound. 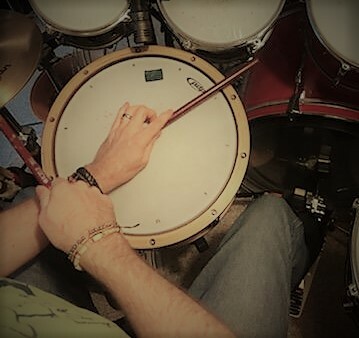 There are times when I’ll want that typical metallic snap-crack that we get on a metal rim, but now if I’m tracking a soft ballad I have a side stick that is far less ostentatious and sits unobtrusively in my mix wonderfully. The DW MAG throw-off is also my favorite design out of all the snares I own. DW really knows how to do things right, and they obviously listen well to their drummer consumers and then engineer accordingly, to make our lives easier, better… more fun! This throw-off design is quite clever – it uses a small magnet to make sure it doesn’t slip open. Plus, it’s not clumsily loud when you engage it, like some others I could mention, and it’s easy to fine tune the tightness even when you have it on. 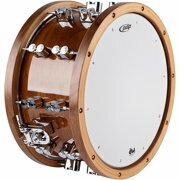 If I’m going to want to throw in any rimshots in a tune, this snare packs some pretty explosive power for that, mostly because of the thick matching wood counter hoop. I can’t get a louder rimshot sound from any of my other snares, and the timbre is round, full and, again, very wood-y. But wait! Did I mention maybe the biggest reason this snare rocks?? It’s THE PRICE!! Considering the heft, tone, hardware and beauty of this snare drum, I still can’t believe I got it for under $300. It’s truly an exceptional addition to my kit at a cost that, based on my experience, is much lower than it deserves to be. 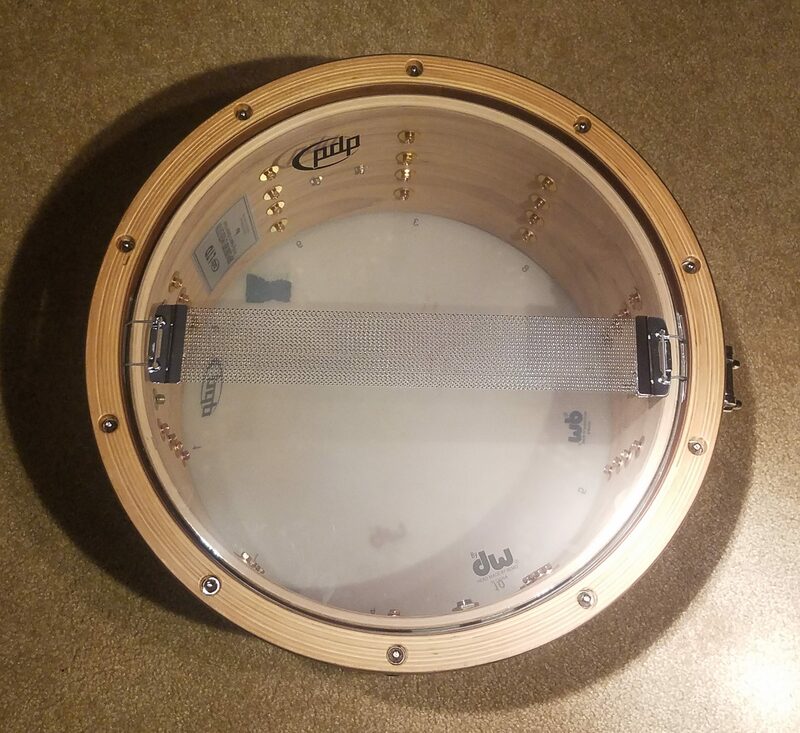 In a phrase, buying this snare as an addition to your kit is a “no-brain-er”. Right outta the gate this snare was a pleasure to play. Pick a rudiment, any rudiment! 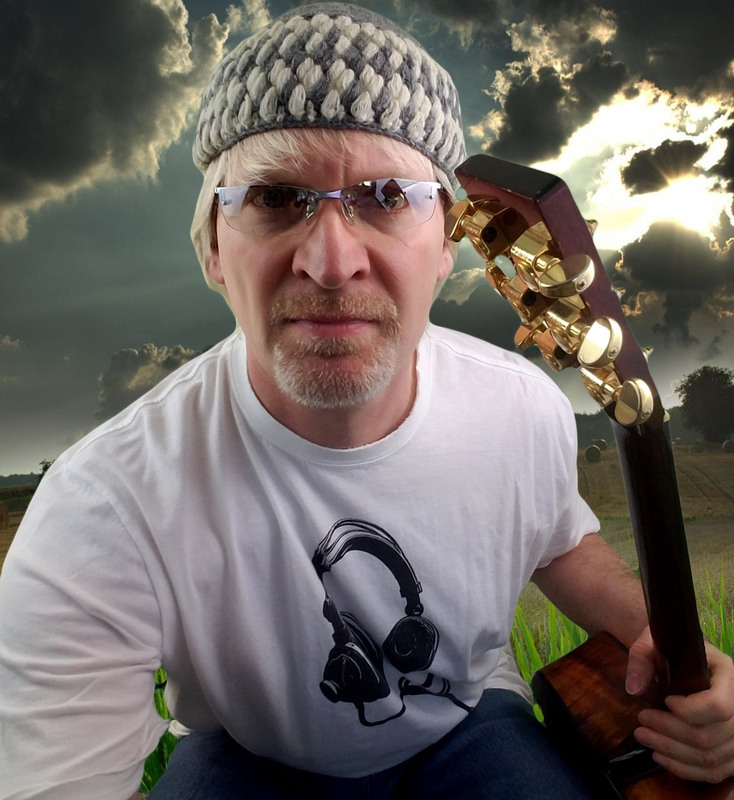 You’ll enjoy the journey as I have on this roll-worthy percussion ride. Like all snares, this one rings with significant overtones if you want it too. Dial up its heads to its strongest resonant frequency and you’ll have a ring sustain that floats like a king’s entrance trumpet fanfare! It’s easily backed off though, either by changing the head tuning, adding a Moon Gel, or (as I know some of you still use!) slappin’ on some duct tape. I pretty much gel every snare when recording in the studio, unless it’s a very divergent, more “folk”-flavored tune. Regardless, you have lots of tone available at all times. Most of that thick tone and lingering sustain comes from the six plies of maple coupled with the beautiful 2-ply outer walnut veneers of the shell. Tune it to your liking for whatever genre or song you’re prepping for and this wood combination will perform it brilliantly. 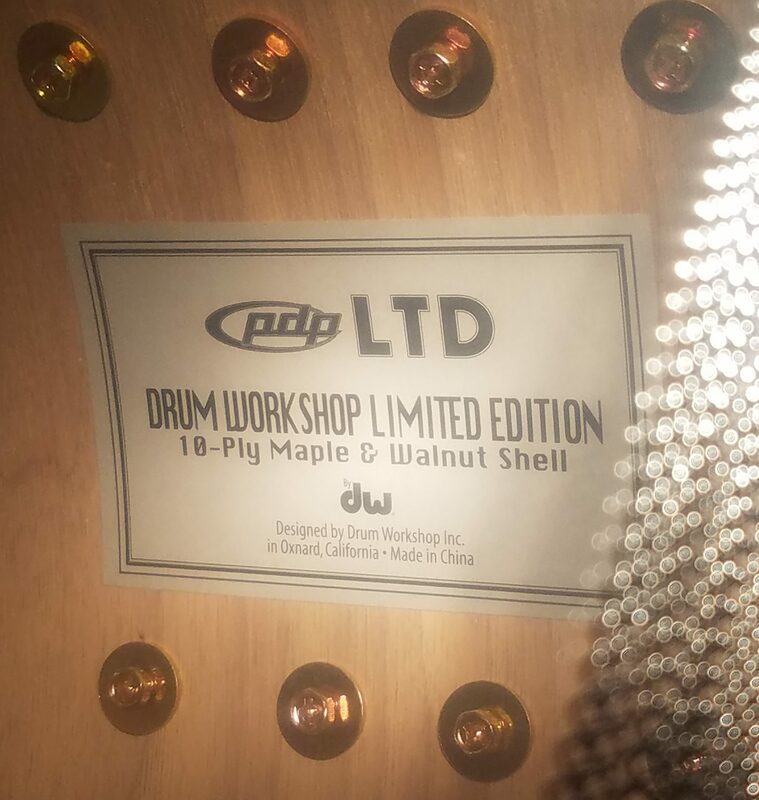 PDP’s combination in this snare of Maple wood, with that outer bit of Walnut, can sound forth a warmth, diversity and luxury sound that my other snares don’t have in spades like this one does. It’s a unique, adaptive and easily complements any number of genres. Just employ those dual-turret lugs to set the sound that works best for you and unlock the very best this snare has to offer. Heads up on an issue that you might run into, as I did: fitting your snare stand. 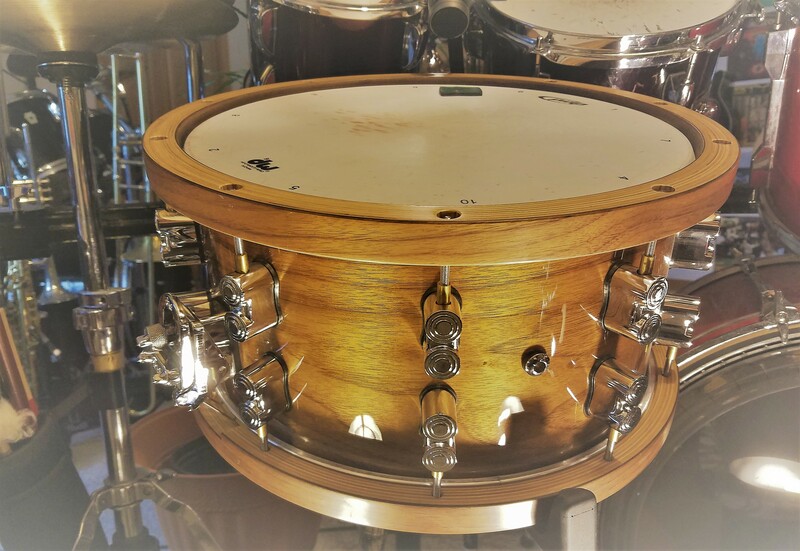 Because the wooden hoops extend the width of this drum beyond what’s normal, I actually had to buy another snare stand to accommodate its width. The stand I had previously gave me no wiggle room or way to expand the cradle, so, yes… it was off to Musician’s Friend to save the day! Now I have a larger, more industrial stand with an adjustable cradle both for width AND proximity to the drum throne. BIG win in the ergonomics department, for sure! So be warned. If you have a standard snare stand that’s non-adjustable, you may have to get another stand. If you’ve been wondering what Rim Shot & Cross Sticking heaven sounds like, congratulations – you’ve found it. I swap out other snares for this one when I want warmth, a real wood-y tonality, or when I know I’m gonna be doing a significant number of rimshots or designated sections of side-sticking, in songs that would benefit from the slightly more subtle, wood-flavored bark that this PDP paragon delivers. Wanna join me?! Add one o’ these puppies to your kit, and then let us know here at Seriousgas whatcha think. If you’re like me, you’ll find it a distinctive, significant asset to your tonal palate! 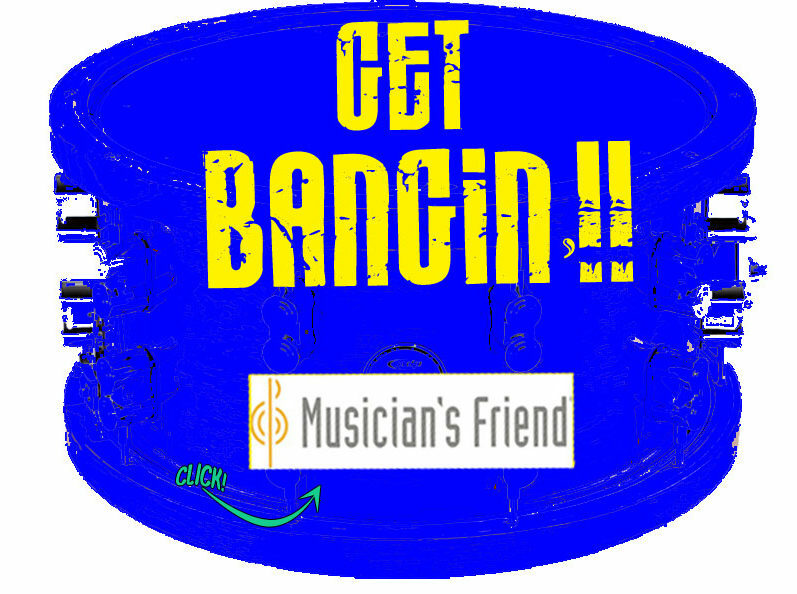 Well, hang out here, my friend, and you will see LOTS more strings, percussion, guitar, bass, drums and recording gear reviews and articles – it’s what we do!! Glad you found my EW Mahogany guitar post too. I’m playing that a lot right now in prep for my new acoustic strings article. Teaj, waoo that is awesome. It’s another beautifully made snare. 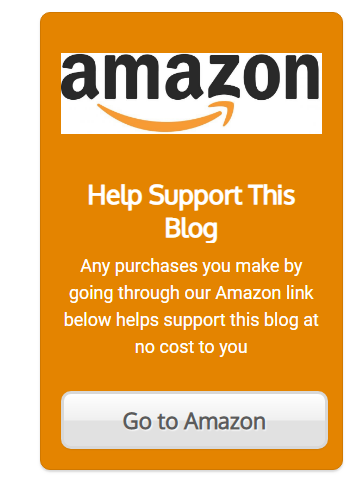 I love reading your post, the other time, I love your review on a guilter made from mahogany. Well, this snare you showed in your post will no doubt make a classic and distinct sound. One basis of good sound on percussion is the characteristics of the wood, some wood like mahogany, Marple…. are just extremely the right choices for good percussion acoustic outputs. I will be more interested in more reviews on both the strings and percussions. Indeed, it IS beautiful, BEazzy… and sounds great too! I have a number of snares, and obviously don’t use this one for everything, but it’s certainly one of the best I own, and can’t be beat for sidestick or rimshots. Heyo Taaj. Thank you for sharing this beautiful snare drum. Your PDP Marple sounds just like heaven. I am a drummer, not that good anyways. I have seen and used some couple of snare drums but none has come close. I love the design. Will show it to my friend. He’s a drummer. He fights with the drums on a regular basis.